Why Should You Look For An Engagement Ring Review On The Knot? Though The Knot.com is aimed at a post proposal couples, but it would be extremely clever for you to pay a visit (for free) and learn a little about what married women really have in mind. The Knot offers such a large number of engaged and married couples, that ensures you will find some opinions about each and every engagement ring store, designer, diamond dealer and other jewelries. The great pro of taking a peek at The Knot, is that you get a review that is unbiased from an emotional excitement of a “just engaged” couples. We see more and more about married couples, which the best tip they have is to put the excitement aside, and wear the business-man hat, when it comes to planning anything from an engagement ring purchase to a honey-moon trip. Since The Knot holds visitors forums for almost any issue related with weddings, it is highly recommended to go thru some of the talks about bridal sets. We have viewed some surveys that assured us what we knew was true- the best tip for a man about to buy an engagement ring, is to purchase a bridal set. A bride’s apparel on her wedding day is one of the most effecting issues on the wedding planning, and implies some of the other important designs from table cover to video art and flowers. When it comes to planning such a big series of events, we believe that you should “think before you act”, which means planning carefully and financially each and every step. The Knot offers a variety of a few thousands of engagement rings, all from rose gold, white gold, in a variety of shapes, sizes and many designers. One of the nicest things about The Knot engagement rings sections is the large number of small and almost un-known designers. The Knot actually offers a stage to all those designers that might get lost when Googleing in-between James Allen, Blue Nile, DeBeers and other big brands. Why Might It Not Be Helpful For Me To Look For An Engagement Ring On The Knot? Well, since The Knot is not all about engagement rings, it is clearly not as friendly as other on-line reviews that are all about engagement rings. The Knot does not offer any experts opinions about one engagement ring store or another, but a man or woman from the audience. It is clearly important to pay attention to this issue, since you may never know about the person behind the answers on these forums. The nicest lady in the world can write about the great deal she got for a 1 carat engagement ring, but who may tell? Is it really a 1 carat? What is the clarity? And about the color? and cut? As you may tell by now, as all on-line forums, you might be getting unbiased reviews from real married and engaged people, but these may not be as professional as ones from an on-line diamond store specialist. The knot is a part of the XO Group Inc., a media company that publishes multi-media content for couples who are planning weddings, creating a home, and starting a family. The Knot is a traded at the NYSE as XOXO; the headquarters are in New York City, New York, United States. The company’s CEO is Michael Steib, but was founded on 1996 by David Liu. The knot is a free website designed in order to assist you in all aspects of your wedding. The knot refers you to different vendors as catering, DJ, bridal dresses and off course- jewelries and engagement rings. The Knot offers a large variety of jewelers, diamonds stores, ring designers and some high quality vendors in almost any interest there is for planning a wedding. 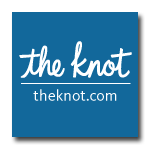 The Knot is actually a complete wedding planning website, which includes all the information you need at one place. It is meant to be the friendliest assistance in order to walk you thru the fun but sometimes complicated, and always expensive and demanding. Why look here for your engagement ring? Well, at first it is nice to hear others opinions; second, we encourage you to think of getting a full bridal set- for sure you will get a better deal on that engagement ring, earrings, bracelet and necklace. Is The Knot A Scam? No. if you look carefully, you will find some people that claim for The Knot to be biased, to make a living out of couples on their way to be married, but it is only a part of the benefits of using The Knot for planning your proposal. Once you make sure to double check, go thru Reviews on other websites as well, we can assure you that you are backed up and ready to get your engagement rings best deals! For last, The Knot website is user friendly as it fits to any mobile instrument, it includes information about both stores and women’s preferences and you can find some great on-line coupons and deals for all your proposal and wedding needs. The Knot allows you to have a look at all sections even without a registry, it is highly important, for you will need to have a look at all offered engagement rings for instance, without giving away your e-mail and intentions. We found a few dozens of designers, and it seems to represent almost 4000 different diamonds engagement rings, it might not be a lot but just remember, it’s not an only engagement rings store. The knot puts its customers up front, but we must mention that vendors are having some pretty easy life as well. The Knot team could take off negative reviews to the request of a store. This might create the wrong impression, if looking for the complete view of one’s service. It seems that both vendors and married couples had some issues with The Knot, some of bad reviews, some of problematic vendors, but after all it seems that according to the large number of users, The Knot offers some great tips and prices.